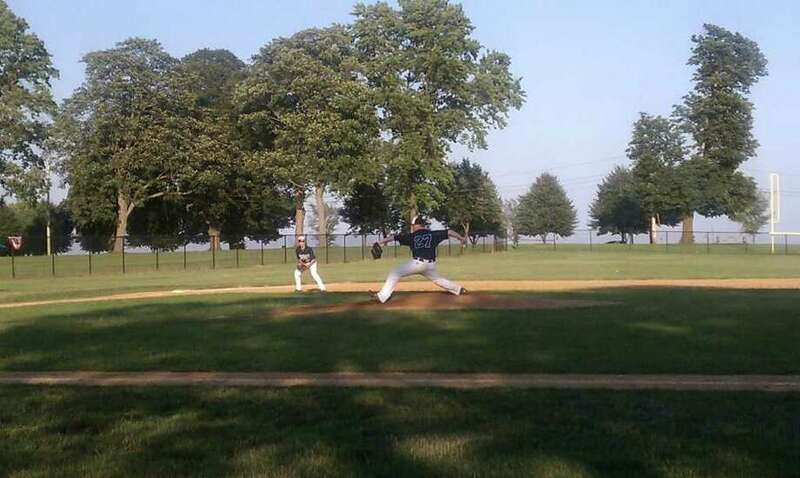 The Westport Senior Legion team lost its fourth straight game Thursday and dropped to 3-10. What makes Westport's 7-4 loss tough to handle at Seaside Park in Bridgeport was that it was in the game and had a chance to win if it didn't cough up the lead. Three of Westport's four losses came at the hands of Bridgeport (8-1 Monday at Seaside Park and 17-4 at Staples Wednesday). Moreover, the three football players who returned from the UConn camp were also in the lineup for Westport in Thursday's defeat, which wasn't the case in the previous losses (Westport also lost 6-2 at Wilton Tuesday). Bridgeport raised its record to 8-8. Westport starting righty pitcher Alex Bauer deserved a better fate. He pitched five innings and allowed four runs, two earned, on four hits with five walks and three strikeouts. "Last time we played at Bridgeport and lost, I pitched an inning and my curve and slider fooled them and I kept going back to it today," Bauer said. Bauer also received offensive support in the first three innings off Bridgeport righty Anthony Torres. Westport led off the first three innings with singles and scored all four runs then. Zach Mitchell led off the game with a single and with two outs, scored on Marco Romero's RBI single to center field. Nick Kiedaisch led off the top of the second by roping a double to center field. John Lobello walked with one out and Kiedaisch scored when Thomas Cirillo on shortstop Mike Tantimonico's throwing error in an attempt to nail Lobello at second. Cirillo was credited with the RBI. James Frusciante lined a single to center with two outs but Lobello was only able to get to third and the inning ended when Alex Gandolfo grounded out to shortstop on a force out. Bridgeport tied it in the second by taking advantage of Donte Younger walking with one out. Younger advance to second on a wild pitch and scored on Paulie Hernandez' single up the middle. Jose Cardoso followed by lining a single to right and when Hernandez and Cardoso executed a double-steal, Hernandez scored on the catcher Gandolfo's throwing error to tie it 2-2. Romero led off the third with a single to left and stole second. Kiedaisch walked and executed a double-steal with Romero, moving runners to second and third. Jonathan Friedman then laced a two-run double to center to give Westport a 4-2 lead. "I focused on staying back on the ball," Friedman said. "I've been early [swinging] all year and I focused on waiting on the pitch and I was able to hit it." Bridgeport came back with one in the third and it started with a two-out walk to Christian Sullivan. Ricky Rodriguez followed with a single and on Younger's bunt single, Gandolfo's throwing error enabled Sullivan to score. Following the third inning, Westport's bats were cold and all the team managed was Gandolfo's single to left in the fourth and Cirillo's leadoff walk in the sixth. Unlike the previous three times when Westport got the leadoff batter on, Torres induced Mitchell, Frusciante and Gandolfo to fly out. "I don't know what the difference was [between the first three and last four innings], we swung the bats well but hit it right at people," Westport Coach Wayne Randazzo said. Friedman said, "We made plenty of contact but right at people." Ironically, Bridgeport tied it in the fifth without getting a hit. Sullivan walked and stole second on a wild pitch on Ball 4. He ultimately stole third and after a walk to Rodriguez, Bridgeport executed a double steal with Rodriguez stealing second and Gandolfo threw it to Frusciante at second, who moved in to take the throw. Sullivan took off during the throw and stole home on the throw back to tie it, 4-4. Lefty Chris Speer relieved Bauer in the sixth and after allowing a leadoff single to Hernandez, he got unlucky with one out when Tantimonico hit a routine popup to the infield, which dropped between Cirillo and Speer for a bloop single. Speer then walked two straight batters after a strikeout, the first one loaded the bases and the second one plated the go-ahead run. Bridgeport scored two unearned runs on the next play when Friedman knocked the ball down and his bobble at third which allowed the sixth run to go in. A Bridgeport runner tried to score from second on the play and Friedman alertly caught him and tried to nail him in a rundown with his throw to Gandolfo. Gandolfo then threw it wide, which gave the runner a reprieve and allowed him to score. "The error bug and the walks killed us, it's a broken record, the same thing happens [over and over again]," Randazzo said. "It's like everyone is waiting for bad things to happen. Bauer didn't pitch bad and Speer didn't pitch bad. Our defense let us down." Bauer said, "We had only three practices all year and other teams had more practices. We have the pitching but our defense isn't playing well. We have to keep on practicing."